Seven teams have built high performance computers that will reverse engineer unknown binary software, create new Intrusion Defense System signatures, probe the security of opponent software, and re-mix defended services with machine-generated patches and defenses. 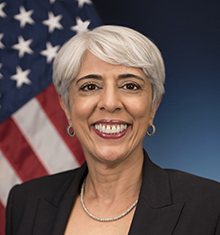 Prabhakar joined DARPA in 1986 and was selected as director in 2012. Since then, she has focused on rethinking complex military systems; harnessing the IT explosion to address national security challenges; and developing areas including mathematics, synthetic biology, and neurotechnology. Prabhakar received her PhD in Applied Physics and MS in Electrical Engineering from the California Institute of Technology, and her BS in Electrical Engineering from Texas Tech University. She was a Congressional Fellow at the Office of Technology Assessment. 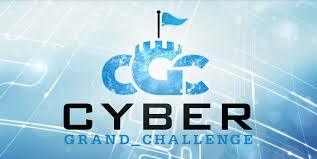 The challenge is held, as part of DEF CON. 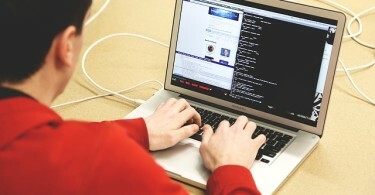 It is among the world’s largest annual hacker conventions, and held annually in Las Vegas. Click here for the DEF CON 24 website. DARPA is a federal unit created “to make pivotal investments in breakthrough technologies for national security.” The agency’s four research areas are: Rethinking Complex Military Systems, Mastering the Information Explosion, Harnessing Biology as Technology, and Expanding the Technological Frontier.